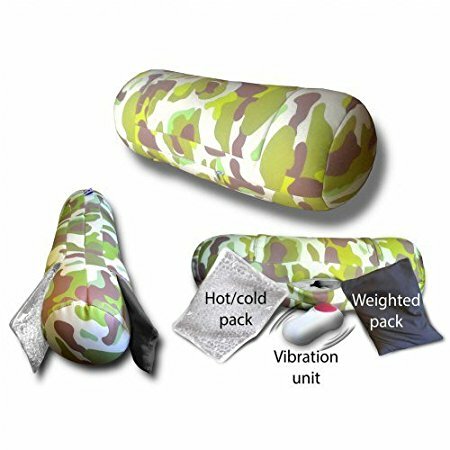 The Camo Senseez 3 in 1 Adaptable Therapeutic Vibrating Cushion is a fantastic sensory massage pillow for kids! Great for all kids who: have difficulty sitting for short or long periods of time; get distracted easily; have tactile sensitivities; have trouble concentrating; could use help with relaxation; have difficulty calming down; have difficulty sleeping. 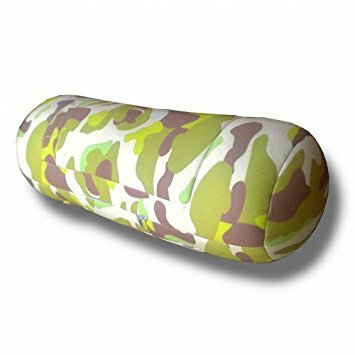 This camo colored cushion will have your child relaxed and comfortable in no time! 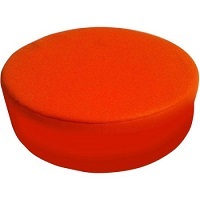 Soothe and calm the body through gentle vibrations with this colorful, fun-shaped and portable vibrating cushion. 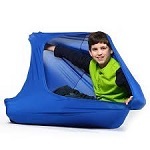 Ideal for children with autism, ADHD, or sensory processing disorders. Calms children who need more sensory feedback or helps train hypersensitive children to tolerate more sensations. Kids love them! Dimensions: L: 17" x Bolster: 6.5"